I didn’t realise how much I rely on favicons as visual indicators, now that I’ve lived without them in Safari now. The lack of favicons still make horizontal tabs difficult to differentiate. But really, taken as a whole, the response to my piece was about one thing and one thing only: the fact that Safari does not show favicons on tabs and Chrome does. 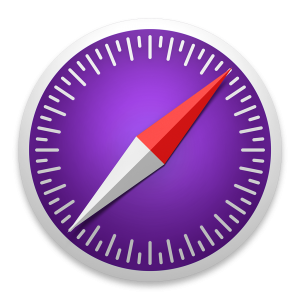 There are a huge number of Daring Fireball readers who use Chrome because it shows favicons on tabs and would switch to Safari if it did. I use both, but agreed. and (2) for people who do have a ton of tabs open, favicons are the only way to identify tabs. This especially. If we’re not going to have stacked sidebar tabs which other browsers or browser extensions do, the very least we should have is another visual cue when they’re squished down like this. I’d also vote for this in landscape mode on my dinner tray-sized iPhone 7+; there’s certainly space for them! Basically all I’m after is a 2017 Webkit Camino, which incidently used favicons.